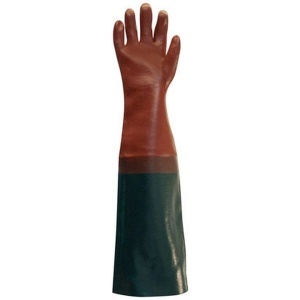 The Polyco Long John PVC Coated Gauntlet is a PVC coated gauntlet on a cotton liner with an integral PVC sleeve. 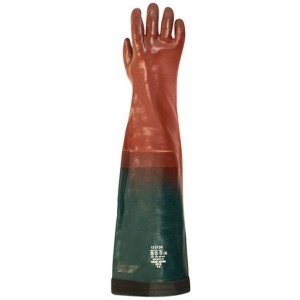 This PVC safety glove performs well to protect against acids and alkalis, and attains a maximum EN 388 score for abrasion resistance enhancing its mechanical protection and durability. The Polyco Long John is designed with an integral PVC sleeve which is secured by an adjustable Velcro strap that extends protection to the upper arm. The Polyco Long John PVC Coated Gauntlet is 64cm in length, making it ideal for working in deep water, and will keep the wearer clean in dirty environments. 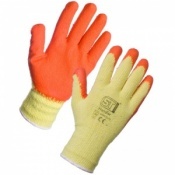 These safety gloves have a cotton lining, which absorbs perspiration keeping hands cool and comfortable in prolonged use. Through this listing, you can purchase the Long John in pack quantity, getting 6 pairs of gauntlets at a discounted price. Ideal for food industry firms, this bundle allows businesses to save money on their essentials. To purchase these gauntlets in single pairs, please see the standard listing. A 64cm length with an adjustable Velcro strap provides a secure fit to the upper arm. 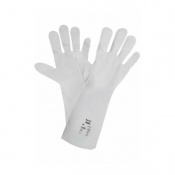 This is ideal for those working in deep water or dirty conditions. Cotton lining provides a high level of comfort. 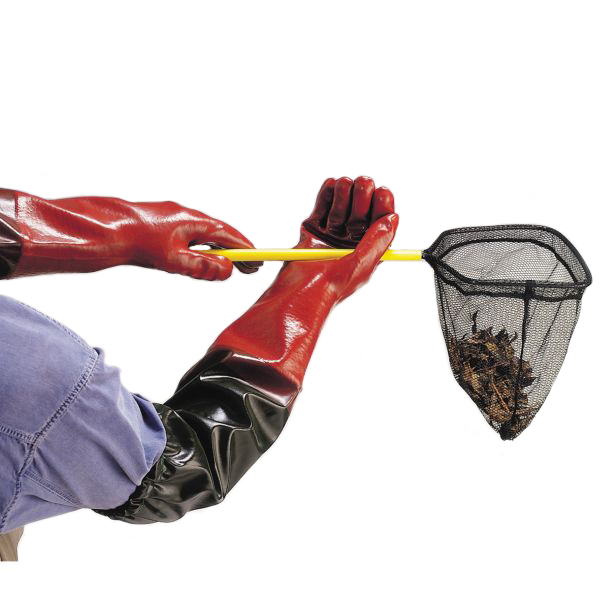 The Polyco Long John PVC Coated Gauntlet comes in one universal size.